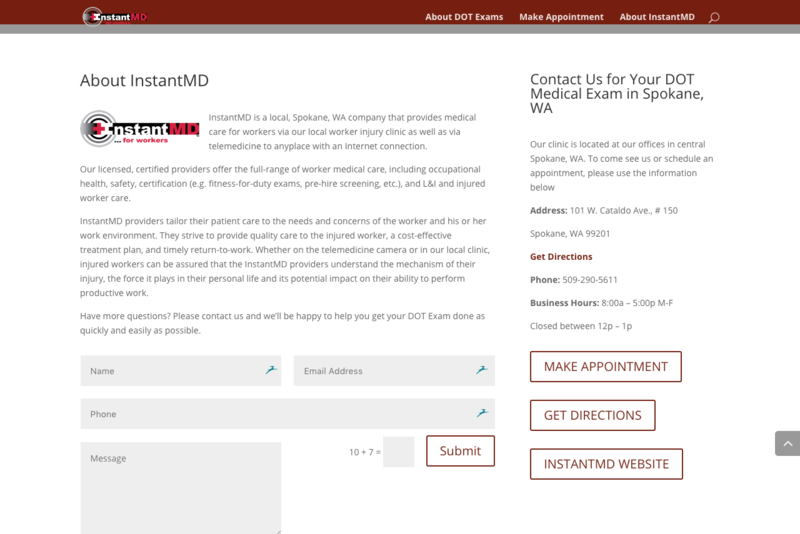 This site was constructed as part of a marketing project. 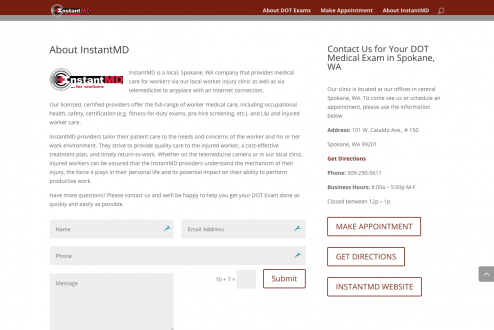 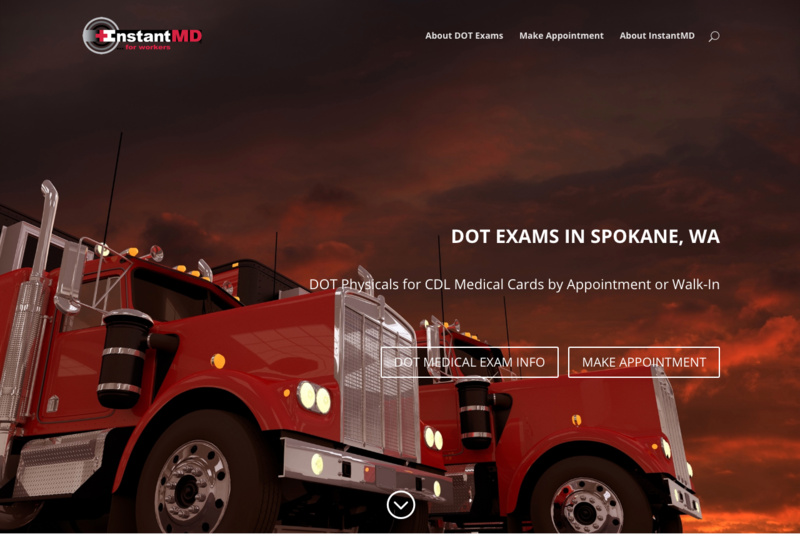 The client, InstantMD, wanted to create a separate website for their DOT Exam service. As such, the goals of this project were to create a simple, succinct site that promoted their service (in their service area), which was solely focused on that one service alone (to facilitate direct marketing of only their DOT Exam offering). 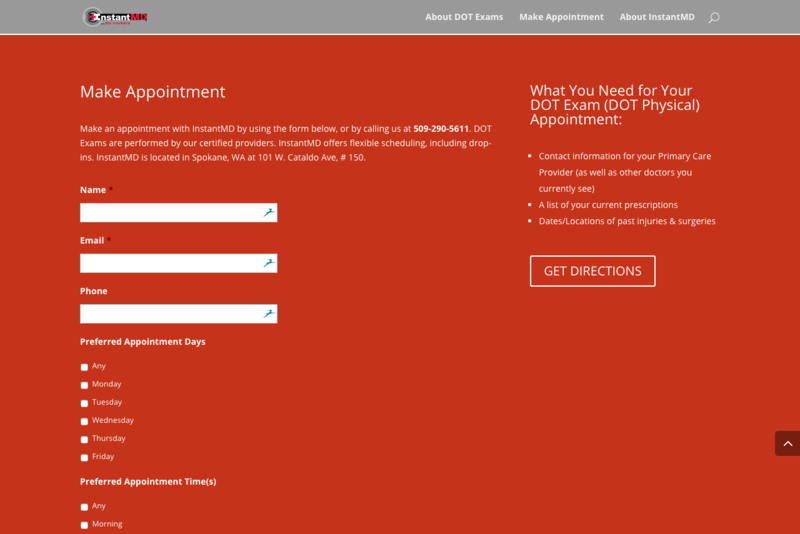 This site is an adjunct to their main site, creating a focal point for their promotion around DOT Exams. 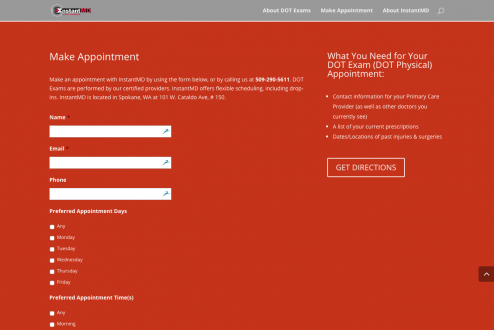 Additionally, it was key for users of this site to be able to very easily schedule an appointment for their DOT Exam as well as have easy-to-access driving directions and pricing info.